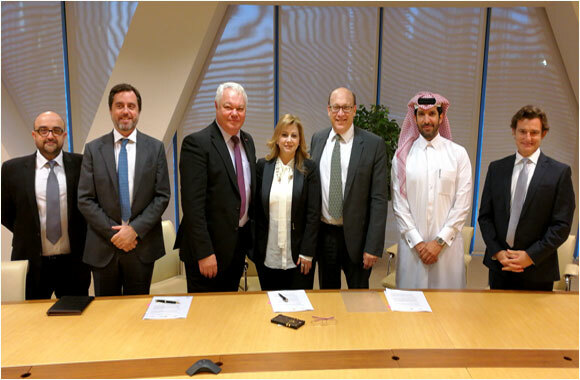 December 2017, MEEZA, an established Qatari Data Services Provider, Fujitsu Services Ltd and Vauban Group today announced that they signed a Memorandum of Understanding (MoU) to enter into discussions to identify opportunities to provide world class information communication and technology services to Qatar. In collaboration with MEEZA, a Qatar Foundation subsidiary, this MoU will allow the parties to work to support Qatar’s National Vision 2030 by leveraging the Fujitsu Human Centric Innovation approach to delivering world class digital transformation and technology services. The MoU will examine how to create significant market opportunities for a full range of technology products, solutions and services. The combination of MEEZA’S existing state-of-the-art data centre facilities, Vauban’s innovation and Fujitsu’s Infrastructure, Industry and Business Technology Solutions will bring benefit to clients, with a focus on meeting the needs of the Financial Services, Healthcare and Government. This initiative envisages MEEZA hosting Vauban and Fujitsu technologies and services in one of their three, in-country, data centres. There will be an early emphasis on identifying and addressing the need for transformational IT strategies, designs and solutions associated with building cyber security capability and cyber resilience in Qatar.